Hong Kong Federation of Business Students is now recruiting passionate students from 9 local universities to become Student Ambassadors of the world’s largest business case competition – HSBC/HKU Asia Pacific Business Case Competition 2019. 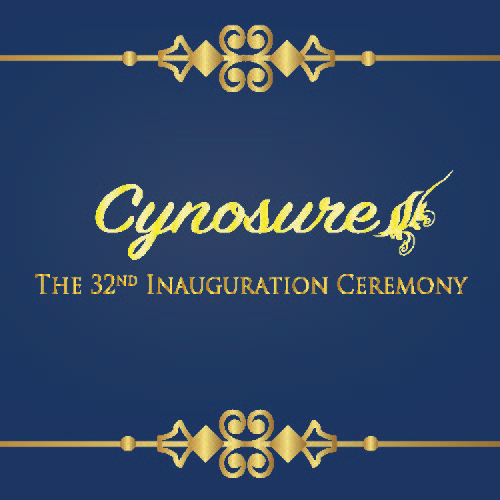 The 35th Inauguration Ceremony The 35th Inauguration Ceremony was successfully held on March 30, 2019, at Rayson Huang Theatre, The University of Hong Kong. To recap the work done and to thank all of our supporting parties, including advisors, guests, sponsors, and of course, student participants, we request the pleasure of your company for dining at our Annual Dinner 2019. Executive Roundtable for Elites (ERT) acts as a platform for students to connect and discuss the latest business trend with business elites and professionals. It aims to help students gain understanding of the real business world through having face-to-face meetings with remarkable business leaders. JUMPSTARTER is a not-for-profit initiative curated by Alibaba Entrepreneurs Fund that provides a platform for all entrepreneurs and young people to jump start their dreams in Hong Kong. The LinkedIn Workshop provides business undergraduates a precious opportunity to gain better understanding into the social media business. CSR Challenge 2018 - People Engagement: The Millennial Way is a function which aims at unleashing university students’ potential in serving the community and to raise their awareness towards Corporate Social Responsibility. Be a part of the new Hong Kong Federation of Business Students. Now recruiting the 35th Executive Committee. Stepping Stone to Success Scheme 2018 equips students with a deeper understanding of business operations. This year, the Scheme includes Mentorship Programme 2018, Internship Series, Executive Roundtable for Elites, Firm Visit Series, Workshop Series and Networking Series. Through an array of functions, we hope to help participants pave the way to success. The 34th Inauguration Ceremony The 34th Inauguration Ceremony was successfully held on 24th March, 2018, at Rayson Huang Theatre, The University of Hong Kong. Network x ICAEW is your chance to meet prominent elites and leaders. Come have fun and build your network now! The 33rd Inauguration Ceremony The 33rd Inauguration Ceremony was successfully held on 18th March, 2017, at Rayson Huang Theatre, The University of Hong Kong. Join MP Networking Night to meet distinguished business elites, prestigious mentors and proactive students from 9 universities! Founded in 2013, Hong Kong Outstanding Business Students Award (HKOBSA) is the first formal recognition for outstanding business undergraduates from the 9 local universities held by Hong Kong Federation of Business Students (HKFBS). HKOBSA marks a new epoch in the academic arena,inasmuch as it provides a brand new platform for promising business undergraduates to recognise their abilities and to foster the exchange of business ideas among the participants. Take part in the international case competition to bring your ideas to life! Be a part of the new Hong Kong Federation of Business Students. Now recruiting the 33rd Executive Committee. Networking Event @LOFT22 is your chance to meet prominent elites and leaders. Come have fun and build your network now! Mentorship Programme 2016 is your gateway to business world insights and relationships with distinguished business elites and prestigious mentors. Join and be inspired now! Stepping Stone to Success Scheme 2016 equips students with a deeper understanding of business operations. This year, the Scheme includes Mentorship Programme 2016, Internship Series, Executive Roundtable for Elites, Firm Visit Series, Workshop Series and Networking Series. Through an array of functions, we hope to help participants pave the way to success. Hong Kong Federation of Business Students would like to invite students from the 9 local universities to become the Executive Sub-Committees. This year, the three teams opened for recruitment welcome enthusiastic students to support functions including Business Administration Paper 2016, co-organise the prestigious HSBC/HKU Business Case Competition 2016, or become Editor-in-Chief and editors of HKFBS official publications. CSR Challenge 2015 - Plant Our Future is a brand new function which aims at unleashing university students’ potential to contribute to the society and to raise students’ awareness towards corporate social responsibility. 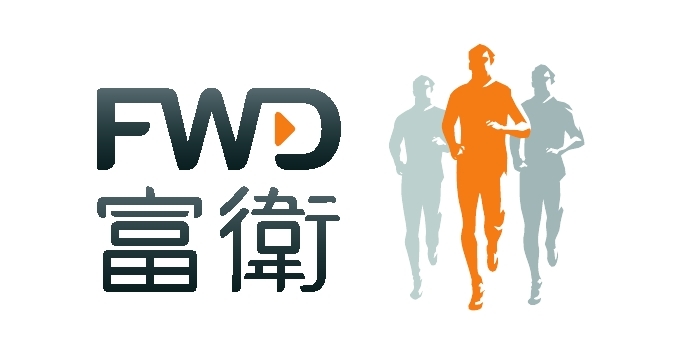 HKFBS will establish cordial communication and relationship with other kindred organizations and the community. 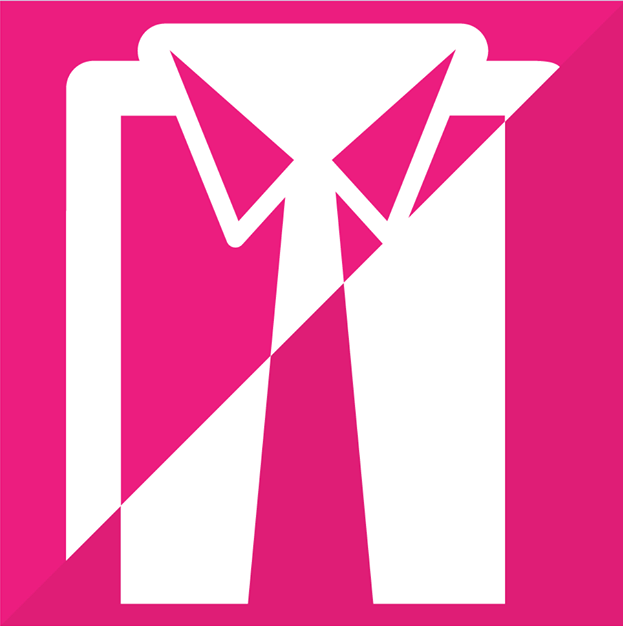 HKFBS proudly presents Stepping Stone to Success Scheme 2015 (S4) Bloomberg Aptitude Test Challenge X Firm Visit Series, co-organized by Hong Kong Federation of Business Students (HKFBS) and Bloomberg L.P.
For the first time, Hong Kong Federation of Business Students invites students from the 9 local universities to become the Executive Sub-Committees. The three teams opened for recruitment this year welcome students to support functions including Business Administration Paper 2015, co-organise the prestigious HSBC/HKU Business Case Competition 2015, or become Editor-in-Chief and editors of HKFBS publications. The Executive Sub-Committees will enjoy the atmosphere of working, meeting and sharing moments with students from the 9 local universities, and equip oneself to be better to suit future career. Hong Kong Federation of Business Students proudly presents to you the “Osaka Entrepreneurial Insight Tour", which provides students with valuable opportunity to reach out beyond Hong Kong to a wider international community. Participants will be given the chance to gain insights of entrepreneurship in Osaka, as well as its traditions and customs. Through visiting a special selection of firms and interacting with students from top university in Osaka, participants can grasp this golden chance to understand more about the renowned entrepreneurship in Osaka, Japan. What''s more, participants can have unique cultural exchange with peers in Osaka, in the hope to widen their horizons and develop international network. The 31st Inauguration Ceremony was successfully held on 25 March, 2015, at Rayson Huang Theatre, The University of Hong Kong. 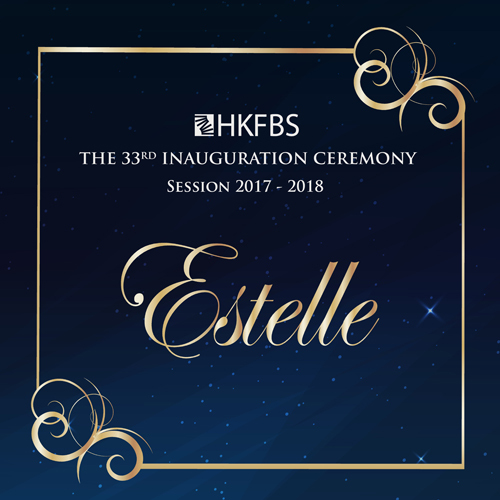 The commencement of the 31st Executive Committee of Hong Kong Federation of Business Students (HKFBS) was announced at the Ceremony. For this year’s theme, “Exuberance” is chosen to express a belief that HKFBS will bloom to dedicate its hard work in serving all business undergraduates in Hong Kong. We hereby thank all the guests that have attended the ceremony, which includes our Guest of Honour – Mr. Paul Tang Kwok-wai, JP; our Guest Speakers; as well as all Honourable Guests. We also thank our Sponsors, past Executive Committee members, representatives from Member Societies and other business student societies that have given us immense support. Be a part of the new Hong Kong Federation of Business Students. Now recruiting the 32nd Executive Committee. Hong Kong Outstanding Business Students Award 2015 (HKOBSA 2015) is the first formal recognition of eminent business undergraduates from the 9 local universities held by HKFBS. HKOBSA 2015 marks a new epoch in academia, for it provides a brand new platform for business undergraduates to recognise their abilities and to foster the exchange of business ideas among the participants. Partnering with Modyroad Limited, Hong Kong Federation of Business Students offers you an opportunity to learn about startup business. "Goxip", an application launched on iOS by Modyroad Limited which is the first ever comprehensive Hollywood gossiping app and it gained a very high popularity in Korea and Philippines and many locations. Business Administration Paper (BA Paper) is one of the Asia''s leading business plan writing competitions, where participants simultaneously learn, practice and accomplish. Come and meet the evaluation committee comprised of professors and top executives. You will also be the first to learn about the business ideas of the finalists. This is a unique opportunity to learn as well as to have fun. Grab the chance to experience their stories and to show them yours. The Internship series is an indispensable part of the Stepping Stone to Success Scheme 2014, offering students a platform to learn and experience about daily business operations at various companies and firms. The Bloomberg Aptitude Test (BAT) is a global, standardized online test that has been developed in partnership with premier financial institutions and university faculties around the world. Students who take the BAT uncover their strengths on various subjects and receive insight into which areas of finance may suit them best. Mentorship Programme 2014 offers you a unique opportunity to take a step closer to the business world and understand more about real operations. Entering the 12th year, we will continue our aim and mission to better prepare you for future adversities and challenges. With the aim to encourage students to be proactive learners, the Mentorship Programme 2014 bridges business elites and students from the 9 local universities together through various forms of gatherings and social activities. The Internship series is an indispensible part of the Stepping Stone to Success Scheme 2014, offering students a platform to learn and experience about daily business operations at various companies and firms. By joining the series, students can gain relevant and precious work experiences, as well as gaining deeper insights of the real business world. And most importantly, finding their own passion and desired career also to meet their future employers. More internship opportunities are coming! Stay tuned for more information at this website. Don''t hesitate and apply now! Hong Kong Federation of Business Students proudly presents to you the "Seoul Innovative Technology Insight Tour" which provides students with valuable opportunity to reach out beyond Hong Kong to a wider international community. Participants will be given the chance to gain insights of innovative technology in South Korea, as well as its traditions and customs. The 30th Inauguration Ceremony was successfully held on 1st April 2014, at Rayson Huang Theatre, The University of Hong Kong. We hereby thank all the guests that have attended the ceremony, which includes our Guest of Honour – Mr. Paul Tang Kwok-wai, JP; our Guest Speakers – Dr. William Lo, The Honourable Jasper Tsang and Mr. James E. Thompson; as well as all Honourable Guests. We also thank our Sponsors, past Executive Committee members, representatives from Member Societies and other business student societies that have given us immense support. Stepping Stone to Success Scheme 2013 equipping students with a deeper understanding of business operations. This year, the Scheme includes Mentorship Program 2013, Internship Series Executive Roundtable for Elites, Firm Visit Series and Workshop Series. Through an array of functions, we hope to help participants pave the way to success. Hong Kong Federation of Business Students presents to you the Singapore Sustainable Economic Development Insight Tour, one of the Federation’s academic activities that allows students to reach out beyond Hong Kong to the wider international community. Engaging in the tour, participants will be able to understand more about the economy and the multifaceted culture of Singapore. Through connecting with Singapore’s top universities students and exploring into a special selection of firms, participants can grasp the golden chance to understand the differences between Singapore and Hong Kong. The 29th Inauguration Ceremony was successfully held on 25th March 2013. We would like to express our greatest gratitude to all participants of the Ceremony, including our Guest of Honour - Mr. Lam Woon Kwong, GBS, JP,Guest Speakers - Mr. Ricky Wong,Mr. Peter K F Cheung, JP,Mr. Robert Grandy , Honourable Guests, Sponsors, past Executive Committee members and representatives from other business student societies for their unwavering support and participation. We would also like to extend our gratitude to our helpers for their invaluable assistance. 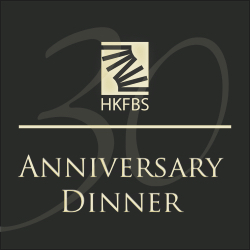 Annual Dinner 2013 celebrates the 28th Anniversary of HKFBS. In this occasion, students will be able to have interactions with the business community. Every summer, HKFBS would visit orientation camps of the universities in Hong Kong to introduce our Federation and deliver welfare packages to freshmen. Stepping Stone to Success Scheme 2012 (S4) is a comprehensive programme that aims to provide our members insights of the real business world and to foster intellectual interchange between students and business professionals. The scheme includes Mentorship Programme 2011, Executive Roundtable for Elites, Firm Visits Series and Workshops Series. The competition provides our members with opportunities to interact with leaders from business and academic sectors, fellow talented students, and eventually impress the audience with their own bright minds. This year, the theme of the competition is "Angles of Venture", under which students are challenged to construct a successful business with seemingly impossible business ideas. Annual Dinner 2012 celebrates the 27th Anniversary of HKFBS. In this occasion, students will be able to have interactions with the business community. Business Administration Paper is one of the most representative competitions of Hong Kong Federation of Business Students. The competition provides our members opportunities to exchange academic ideas and interact with the business community. This year, the theme of the competition is "Tomorrow ''s Avant-garde". Stepping Stone to Success Scheme 2011 (S4) is a comprehensive programme that aims to provide our members insights of the real business world and to foster intellectual interchange between students and business professionals. The scheme includes Mentorship Programme 2011, Executive Roundtable for Elites, Firm Visits Series and Workshops Series. Business Administration Paper is one of the most representative competitions of Hong Kong Federation of Business Students. Over the past year, Business Administration Paper aims at providing an invaluable opportunity to encourage interflow of academic ideas among members and to foster interaction between the business community and our members. Stepping Stone to Success Scheme (S4) is a comprehensive programme that includes Mentorship Programme, Firm Visits and Workshops. The scheme aims to provide an opportunity for our members to develop their mindsets for their future career and familiarize with the operations of the real business world.